Travian Review, Guides & More! The principle of the game remains popular and proven: Use skill and strategy to turn a sleepy Roman, Gallic, or Teutonic hamlet into a mighty empire. Over the course of a game the true challenge awaits: Being a diplomat, trading resources, and supplying your villages with food takes a lot of skill. The goal is to become stronger than the competitors, or even to build a world wonder. 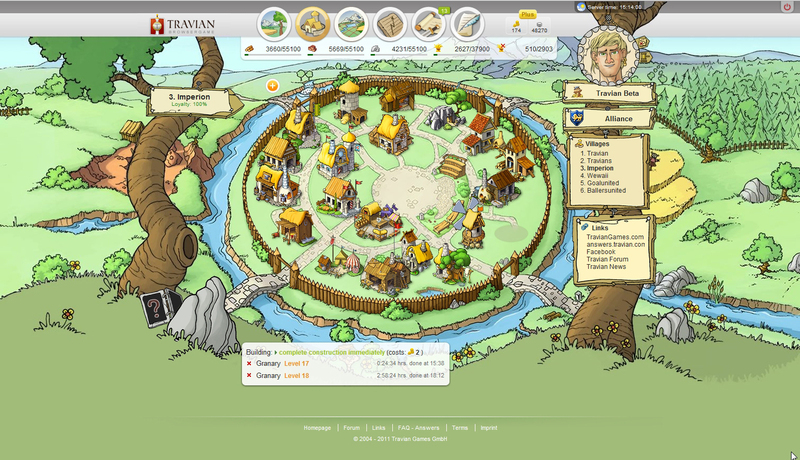 Travian 4 has been reworked in many areas of the game. The modernization was done carefully in order to make sure that the typical charm of the original game remains. The graphics, for example, are not only more detailed, more colourful, and more varied, but also optimized for gameplay – offering the player the information he needs at a glance. Thousands of villages of real players await in the near and far surroundings of the player?s settlement. The new multi-zoom map offer more complex and detailed information, easing the tasks of the military commander to successfully plan raids or diplomatic missions. The varied illustrations give the player more feedback regarding completed adventures, changes in the village, or battle reports. The hero system is also completely new in Travian 4. Hundreds of varied challenges and quests are waiting for the individually customizable hero. With the valuable loot from quests the player can equip his hero with items from head to toe. That way he will not only become more powerful and impressive as a leader of his people, but alternatively the player can also sell his equipment in the auction house and become incredibly rich. 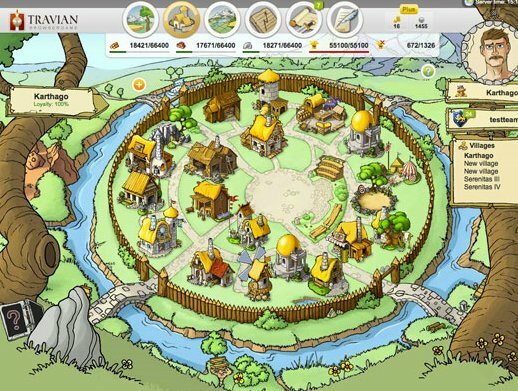 Countless improvements small and large are tightly packed into Travian 4 – including many suggestions that came from the game?s incredibly tight community. Travian is actually very brutal. The Travian game is dead to me now. Abusive Multihunters, cheaters everywhere and you have to use a ton of gold. I know so many decent players getting banned for no reason and punished as well. I can count people I know in the hundreds, that have stopped playing this game. Especially if you are more than one player in a household, then they will ban you for multi accounts without presenting any evidence of this. Greed has overcome game play and customer service. The Multihunters range from biased to simply unqualified and corporate could care less as long as you buy gold. To be competitive requires 3-400 dollars worth of gold per server. I played travian since the T2 version. It used to be a really good strategy game where people learned to work together to build strong alliances and compete against other alliances. However, when they introduced artifacts and then T4, the game went downhill. It became a game where in order to compete, you had to spend gobs of money on gold, and it introduced a new generation of players who did not care about the strategy of winning the game, but who enjoyed beating up new players. I recently played the alpha and closed beta version of T5, and the guy who said it was a train wreck had it right. TG’s vision was to go back to it’s roots and stop this bullying of new players, but in reality, T5 makes it worse. It will also cost gobs more cash to play if you want to have a decent account. I was very disappointed in what they had developed. Travian had it’s day, but it’s long gone. I’ve also played since the T2 version, and I totally agree with you. The introduction of artifacts totally ruined the fun of the strategy game. And the T4 version, everyone plays for themselves, the teamwork has vanished. And those with money dominate the game. Of course don’t forget the amount of cheating that is rampant. I also recently played the Beta T5 version, and that has totally destroyed the game I used to love. My travian days are done. I just finished the T5 5x closed test server. They opened it up mid way to see what would happen with new players joining, and within a week, the majority of the new players were driven off the server by people who wanted to do nothing but destroy their competition. So the game ended with one alliance holding all the world wonders. What a joke this game turned out to be. Sad really considering 10 years ago, the game was a fun strategy game. I played travian 3 quite a bit ( around 3 servers worth), it is definitely a challenge without having relationships with other players in a strong alliance, to prevent being farmed from the beginning with no chance to recover. The game is always running 24/7 so if you sleep you’ll lose precious time to build your village. Often the most successful players are really “dual” accounts with more than one person playing that one game player, if I’m different time zones is ideal. Makes it hard to catch up if playing casually. Even if you succeed surviving you can spend a year creating a good capital with a decent army and still get wiped out in a day by an alliance attack on you. Still rewarding being in a winning alliance after years of playing together. This is the best strategy game out there in my opinion. Money does help, but not too too much. Once you get Gold membership (about 10$), any further spending does little to advance you (unless you use huge piles of real money). It does take a while to get the hang of, but the community is nice. If you want a deep strategy game that goes on for about 1 year, this is it. 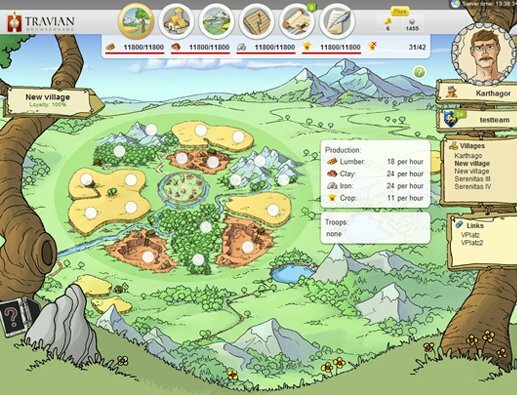 I played Travian a few years ago, and once again just recently. I found the players far from nice. They are a bunch of cowards creating farms out of beginners. That isn’t strategy. I won’t be playing Travian again. There is absolutely no point unless you already have established relationships in the game. you are correct. The people who play this game these days only want to create farms and destroy random newbies. Very different from the old days when there was a ton more players on a server. It would be a decent game if the people playing it weren’t rude a**holes to beginners. 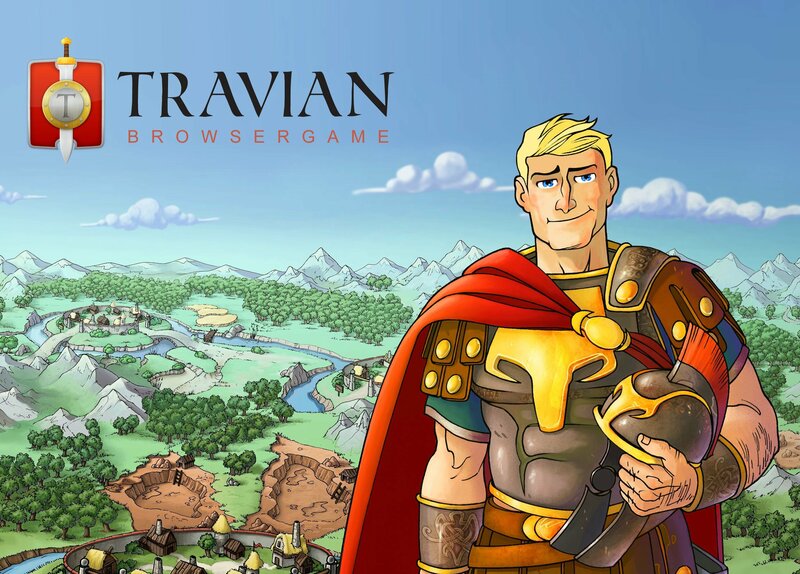 People that finds Travian a ‘boring’ game is probably looking for what the 1st commenter mentioned and doesn’t know what a real STRATEGY game is but if you’re looking for a game that you can play 1hr/day basis then Travian is definitely not for you. 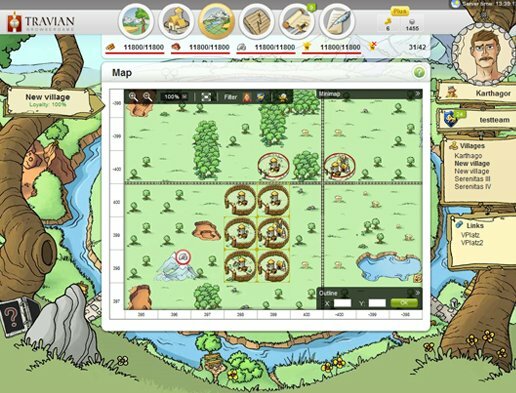 I think it’s fair to say that Travian is the purest online browser strategy game out there. Most of online browser strategy games are just a awkward copies/remakes of other online browser strategy games, so if you played a game like Evony, consider that you played around 95% of online browser strategy games out there. Wow, I said “Online browser strategy games” way too much.